Gong Xi Fa Cai! Happy Lunar New Year to everyone! Our first Club meeting was well attended on Friday with our focus on the Country students IT Visit to be held in May. David Martin led the club assembly providing an overview of the program and the planning for the visit this year. This year we will be organising the program to run from Sunday 26 May until Friday 31 May. We hope the visit will coincide with Vivid this year and we plan to take the students into the city to see Vivid during the week. David has called for volunteers to help with the program throughout the week, see request for helpers in this bulletin. If you are able to help in some way please contact David. For more information about the IT Visit see here. The Trivia night is now only three weeks away and we are now taking bookings for tables up to 8 or 10 in each team. Stephen Sim will be the Trivia Master for the evening and is planning a fun night. 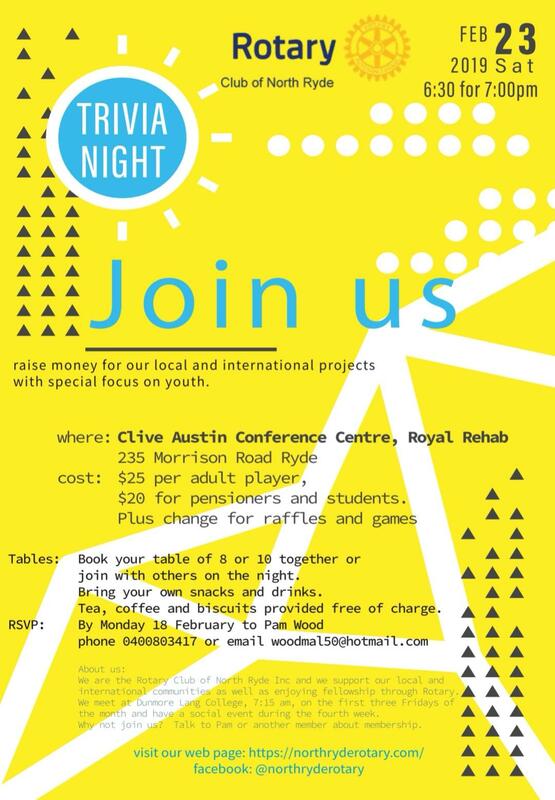 We are very fortunate to have the the use of a great venue at the Clive Austin Conference Centre Royal Rehab, 235 Morrison Rd Ryde. I am also collecting wine and items for suitable for prizes on the night, please let me know if you have something you would like to donate. For more information and contact details see flyer. Our guest speaker at this Friday's club meeting Is Professor Gavin Marx from the SAN Hospital. Professor Marx's presentation will be on Cancer Research. On behalf of the Rotary Club of Woy Woy, I wish you a wonderful and prosperous new year. May you be fit and healthy and enjoy life. Well, we are now less than three months from our fourteenth ‘Opera in the Arboretum’ and we have a super line-up of wonderful artists to entertain you! Just have a look at the list at the bottom of the page. So, the question is: have you got your tickets yet? A lot of tickets have already been sold and if you have not got yours, now is the time to order them. Prices have remained the same for the last three years and is listed below. C'mon, join us at the Crommelin Native Arboretum, Pearl Beach on the Central Coast! BYO, Picnic, rug and chairs. Another year rolls round for our greatly valued club project of the IT students visit to Sydney. We are aiming for 8 students again, with 4 being sourced from the Inverell region in the north and 4 from the West Wyalong and Forbes area in the west. We are proposing to have the project a week later this year to try and coincide with the Vivid festival in Sydney. At this stage the students would arrive on the afternoon/evening of Sunday 26th May and leave on the morning of Friday 31st May. I am even earlier again this year, starting the job allocation process. Once again, I have listed the jobs that need to be done below and would ask you to email me with the ones you would like to help with. 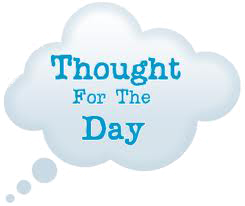 It is understood that with work, family and other commitments a number of jobs are not possible for a number of members and there is no pressure to do anything you do not want to do. As you know it is generally a fun week and the kids are amazing, so definitely worth being involved if you can. We can have up to 8 students, but it could be less. Pick up from Hornsby station about 4pm and deliver to host parents. Pick up from Strathfield Train Station usually about 7 or 8pm. Hosting students (specify 1 or 2 and whether male or female preferred). Students would be fed and looked after at hosts homes on Sunday and Monday nights at this stage. Attending company visits with students on Tuesday and Wednesday. No driving needed as the train will be used. Half day also possible. Driving students and attending company visits on Thursday. Possibly 4 passengers. Let me know if a half day is possible rather than a full day. This is generally a local day, so there may be some driving and some walking. On Tuesday night we propose taking the students into Sydney to see the Vivid festival. We would have tea somewhere and then a wander round the Vivid hotspots in the city. We would need 2 or 3 people to oversee this. On Thursday night we will have dinner and presentations at a venue yet to be decided. We will sort out attendance closer to the time. Return students to Hornsby and Strathfield stations around 10am and 7am respectively. 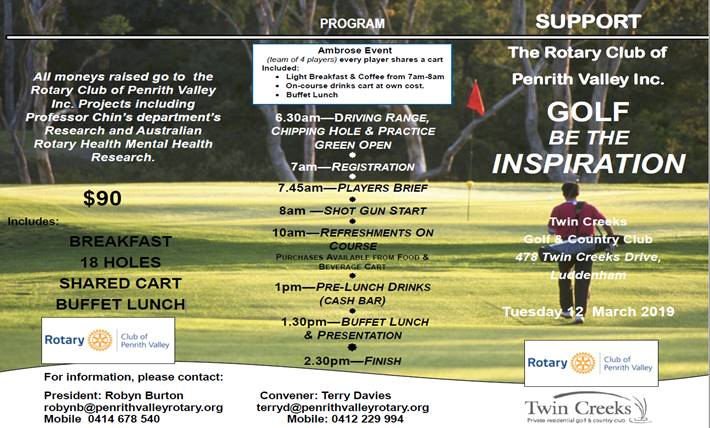 You are invited to Golf and “Be the Inspiration” to support research into head and neck injuries and post-traumatic stress disorder research on Tuesday 12 March 2019. 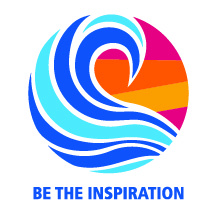 In 2019 the Rotary Club of Penrith Valley is supporting the Nepean Blue Mountain Medical & Research Foundation and Australian Rotary Health. Playing Golf at the Home of the NSW Open, the Twin Creeks Golf and Country Club, will be a marque event! For $90 you are supporting Professor Chin’s Robotic Surgery Research and to help Australian Rotary Health fund its research into PTSD! You’ll enjoy 18 holes of golf in a shared motorised cart, with breakfast, refreshments and to conclude with a buffet lunch presentation. 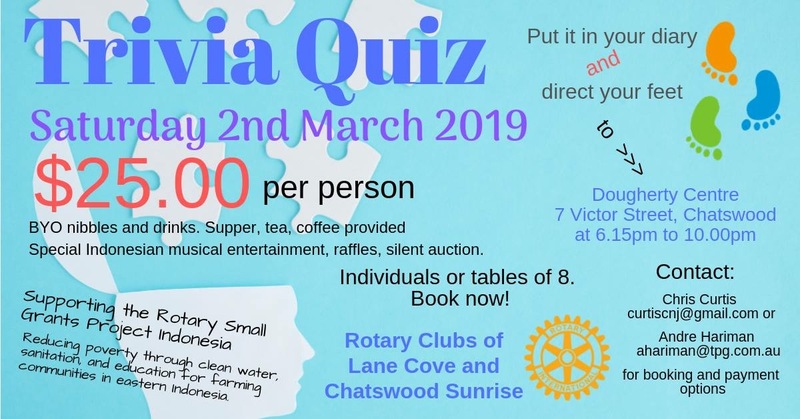 The Rotary Club of North Ryde could make up a Team to win the coveted best Rotary Club Trophy and prizes. Your help to circulate this event is appreciated. 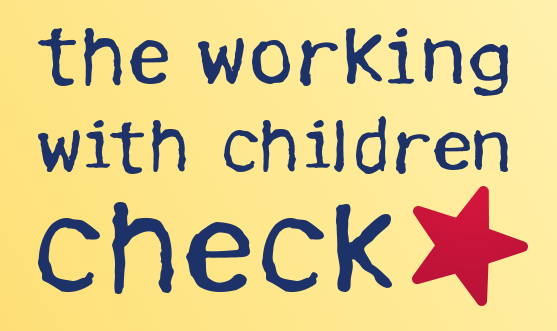 WWCC - Is your Working With Children Clearance Up for Renewal? 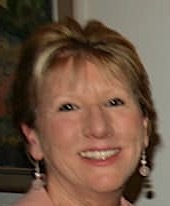 Is your Working with Children Clearance up for renewal? You can renew your WWCC number from three months prior to its expiry date. You will receive a reminder when it’s time to renew – provided your contact details are up to date. It’s easy to find and update your details – just go to www.kidsguardian.nsw.gov.au/check then choose Update my details. If you need to find your WWC number, just choose lost my WWC number. A mind stretched by experience never reverts to its original size.